The Paleo diet has shot to the forefront of our awareness in the past few years. 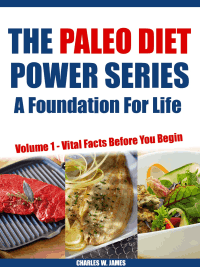 Even though there are many diets to choose from, the Paleo diet is unique for several reasons. The more you find out about it, you begin to see that this is really more of a diet concept. What you choose to do with it greatly depends on your unique situation. But the underlying premise serves as a foundation, and you can build your own approach depending on medical conditions, current weight and goals and level of physical activity and fitness. All of that means tremendous diversity and flexibility, and you will see that as you learn more. Gastroenterologist, Walter L. Voegtlin, is responsible for raising awareness of the Paleo diet concept and approach during the 1970s. Like any new idea in science, further research and study is a slow process. The scientific community needs to treat new concepts and ideas with skepticism and rigorous study. However, over the years there have been more books, research, papers, and general support for the Paleo diet. Much greater support and awareness has only increased in the past, roughly, five to seven years. The Paleo Concept – What is the theory behind it? The Paleo approach is really pretty simple. Our bodies respond better and naturally become healthier when we eat the same kinds of foods consumed over 10,000 years ago. In doing so, you will completely avoid assaulting your body with foods of our current and so-called high tech societies. What does that mean? It means you eliminate processed foods and a diet that usually has too many carbohydrates. But there is more to that concerning optimum health. Today’s diet is blamed for causing many of the modern diseases that afflict millions of people. When you eat the foods your body find genetically optimal and rejecting unhealthy foods, you will return to a state of health. Your body is capable of healing when it is given the right nutrition. But as you will learn, it is not just a matter of avoiding processed foods that contain a potpourri of chemicals. The Paleo diet consists of foods that are similar to what our ancestors ate before agriculture developed and took hold over groups and eventually societies. Along with agriculture came the domestication of cattle and introduction of dairy products. In fact, what you may not know is humans are the only mammals to consume milk beyond weaning.